The Internet is such an integral part of children’s lives these days. It opens up so many educational and social opportunities, giving them access to, quite literally, a world of information and experiences. Whether on a computer at school, a laptop at home, a games console or mobile phone, children and young people are increasingly accessing the internet whenever they can and wherever they are. On academy devices, students have access to the Internet which is controlled and monitored. We ask all students to follow our Mobile Phone Charter and to use the Internet safely on their devices. We also teach students about the importance of online safety in lessons and through special assemblies and workshops. 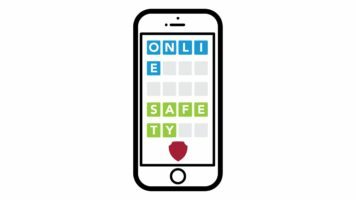 What can families do to keep their children stay safe online? The following content is taken from the UK Safer Internet Centre. The Centre has a general helpline for parents and carers, a hotline for reporting worrying content and an awareness centre – their website is full of useful information – we have chosen key information for our parents and carers below. Visit www.net-aware.org.uk/ from the NSPCC to find out about particular social media sites your child might be using, such as Snapchat or Instagram.